There are so many reasons to choose a city centre wedding, so it will come as no surprise that more and more couples are looking for a suave venue in the centre of all to host their celebrations. We've taken the stress out of planning for you and rounded up Ireland’s top 10 City Centre wedding venues. 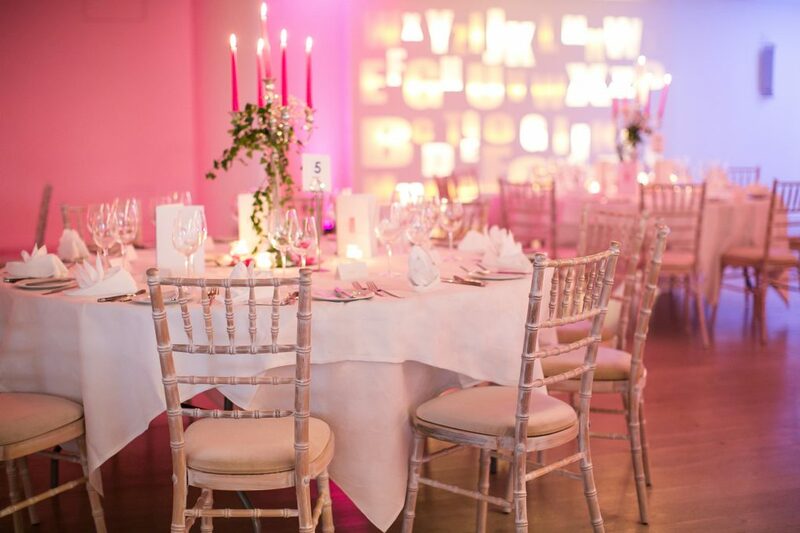 Below are five of Dublin’s best wedding venues as well as five more city venues, in Cork, Belfast, Galway, Limerick, and Kilkenny. Nestled away on the Grafton Street side of Stephen's Green sits the often overlooked Stephen's Green Hibernian Club. An elegant Georgian building, it has been a private club since 1840 and offers couples a convenient, yet elegant, city centre spot for their big day with all the privacy of a premier private member club. 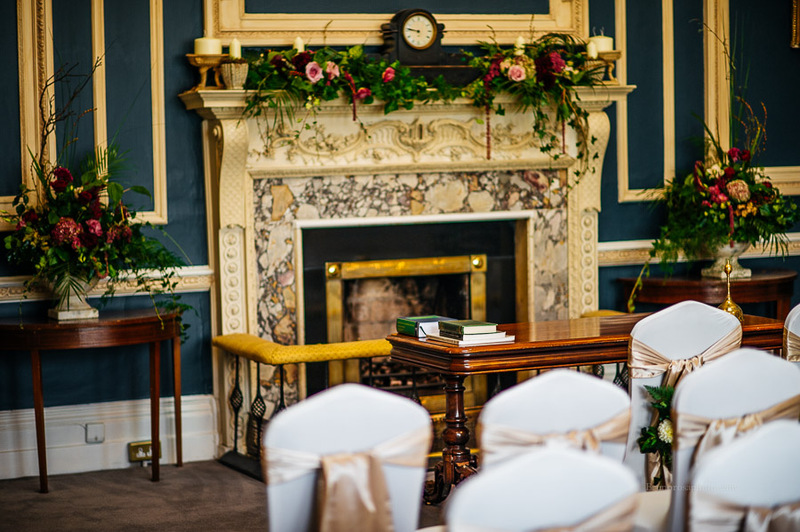 Key features include a long dining room on the first floor that overlooks Stephen's Green and the spectacular domed ceiling of the Card Room, the ideal location for your ceremony. 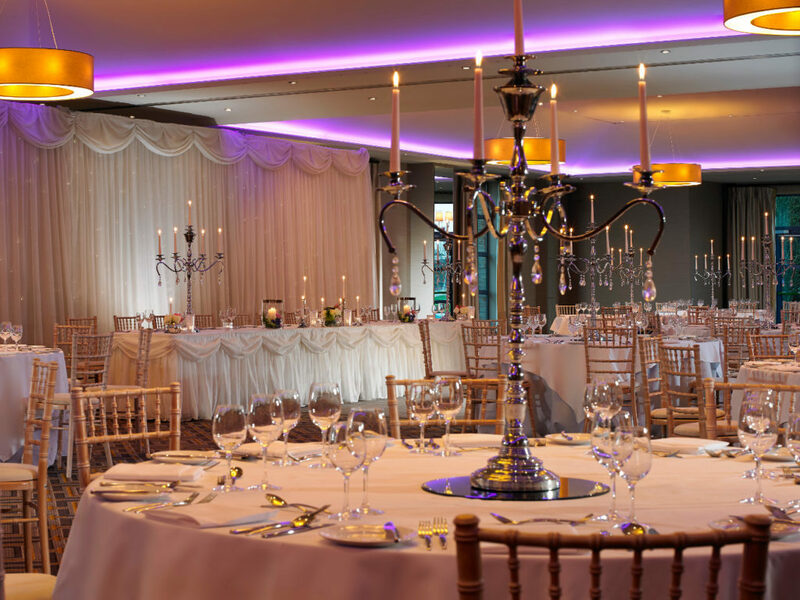 With views of the stunning River Lee providing a gorgeous backdrop to your wedding reception, The Kingsley in Cork is an obvious option for a luxurious wedding reception in Cork City. The photo options don’t just end at the River Lee. Close by to The Kingsley Hotel Cork is the Honan Chapel, dating back to 1916, which is located on the grounds of University College Cork. A five-minute drive from The Kingsley, you’ll also find Fitzgerald's Park, a picturesque green space with fountains and sculptures. The Kingsley’s function room, the Deane-Woodward Suite is another attention grabber, with contemporary decoration meeting dark wood-panelled walls and plush carpet. Smaller weddings can be catered for in the Fairbanks dining room or in the private penthouse suite. Cost: from €57pp + 12.5% service. 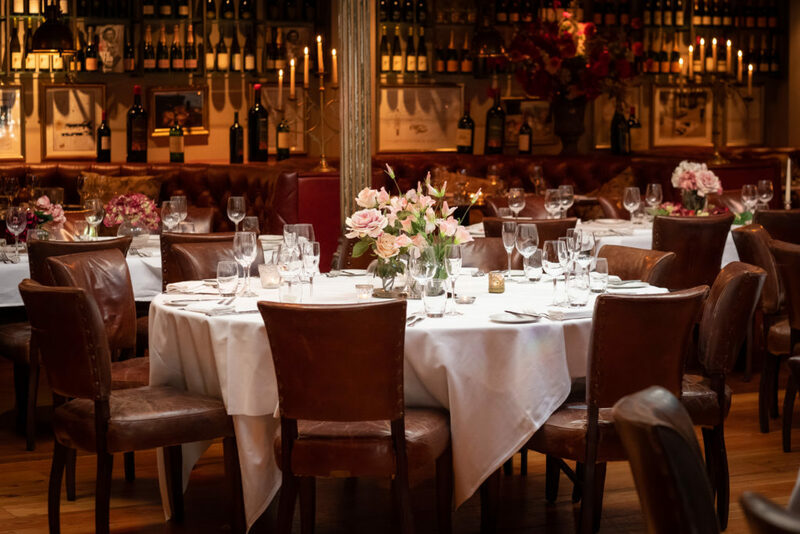 For an intimate, Dublin venue that’s just outside the hustle and bustle of the city centre, Marco Pierre White Courtyard Bar & Grill in Donnybrook is a beautiful and unique restaurant wedding venue. A place where old-school glamour with a modern twist is on the menu, you can choose to either host your day in their elegant Garden Room, which accommodates up to 60 guests or absorb in the atmosphere of the historic dining room, which can seat up to 140 guests comfortably. City convenience meets countryside beauty at the five-star Lyrath Estate, Kilkenny. Though it is located within Kilkenny City, the Lyrath Estate, a 17th-century estate house, occupies 170 acres of Irish countryside, which includes historic gardens, woodlands, and lakes. The expansive estate house has been recently softly refurbished, with updates the wedding ballroom, foyer, bedrooms, bar, and restaurant. Wedding packages currently start with pricing from €75 per person. Belfast’s Merchant Hotel is known as one of the city’s top venues for weddings—and for good reason. 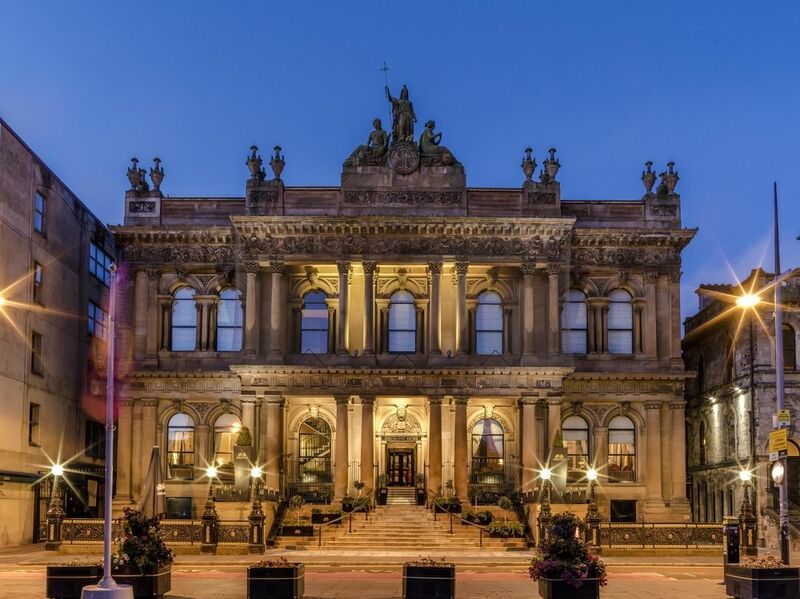 Dating from the 1850s, the Merchant Hotel was once the headquarters for Ulster Bank. In its new life, it enjoys the reputation of being an AA-rated five-star hotel. 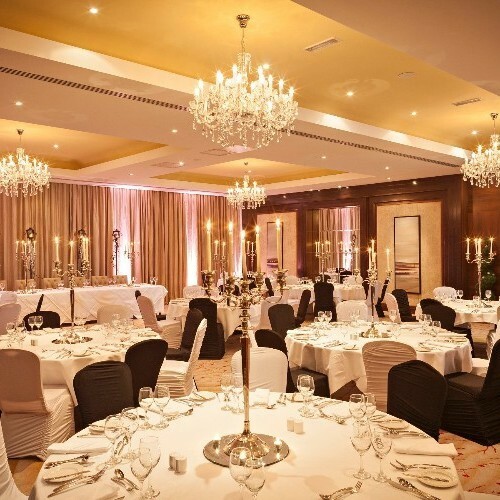 A range of rooms are available for your wedding, including the From the Great Room Restaurant, which boasts Ireland’s largest chandelier and incredible plasterwork friezes; the Rita Duffy Room, which is decorated to an Art Deco style with more stunning chandeliers; or the more intimate Roof Garden, suitable for smaller weddings, which has views over the Belfast mountains. Perfectly located on the banks of the River Liffey and only a short walk from the famous Temple Bar, the award-winning 4* Morrison Hotel is well-known for its style and atmosphere. A registered Civil Ceremony location, if you choose to host your wedding here you and your guests can enjoy the day from start to finish in the luxury surroundings of The Morrison. Offering two impressive reception locations, the hotel caters for both intimate and larger weddings from 35 to 180 guests. The Morrison Hotel is the perfect venue to celebrate your day in Urban Luxury. If you’re looking for contemporary, urban chic on your wedding day, the g Hotel in Galway should be high on your list of considerations. Designed by milliner Philip Treacy, the g Hotel makes interesting use of glass, as well as feature lights and bright colours, to create a cool and fashionable space. The hotel overlooks Lough Atalia and is a quick trip to Galway’s Eyre Square. A range of wedding part sizes are catered for with wedding packages currently starting at €67 per person. The renowned Banking Hall at the Westin Dublin was restored to its former glory of the 1860s with opulent marble pillars, tall mahogany doorways and magnificent detailing on the walls and ceiling including 4 chandeliers, each crafted from 8,000 pieces of Waterford Crystal. The Banking Hall, with its own grand private entrance through the stunning façade on College Street, is befitting such an occasion as your special wedding day. 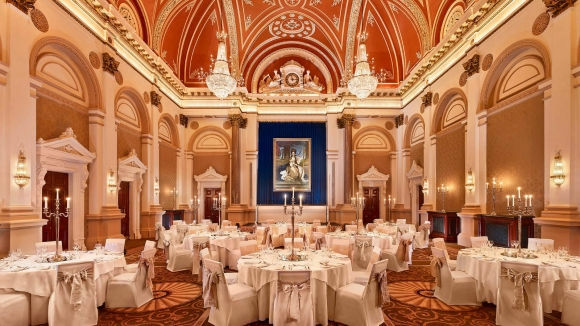 This amazing venue accommodates up to 180 guests for a seated banquet and with the 5-star level of service from the Westin Dublin, The Banking Hall makes for a truly memorable day. 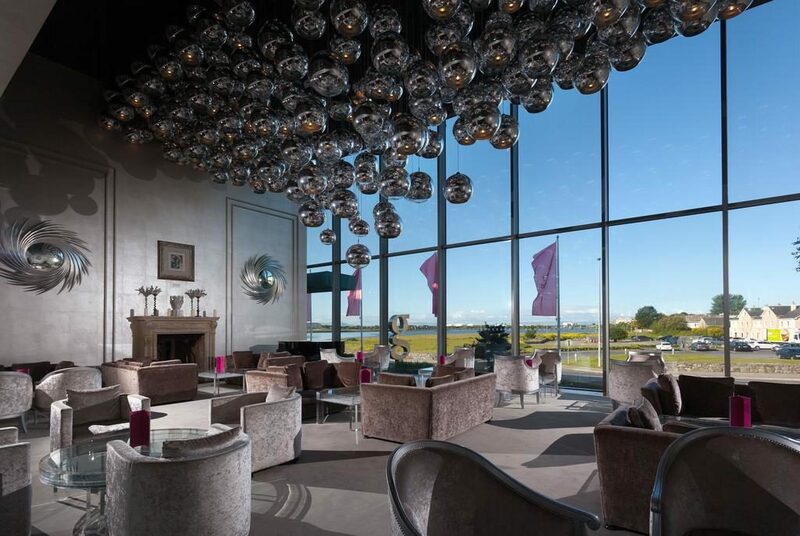 Situated about 10 minutes outside the city centre, the four-star Radisson Blu Hotel and Spa enjoys a superb location to make the most of Limerick’s history, natural beauty, and amenities. Close by, you’ll find Bunratty Castle and King John’s Castle. The hotel itself is located on 20 acres of parkland and has views of the Woodcock Mountains. A wedding here begs for some exterior pictures: the parkland’s lawns are dotted with garden benches and cherry blossom trees. A terrace in front of the Ryan Suite Ballroom leads to that natural beauty. 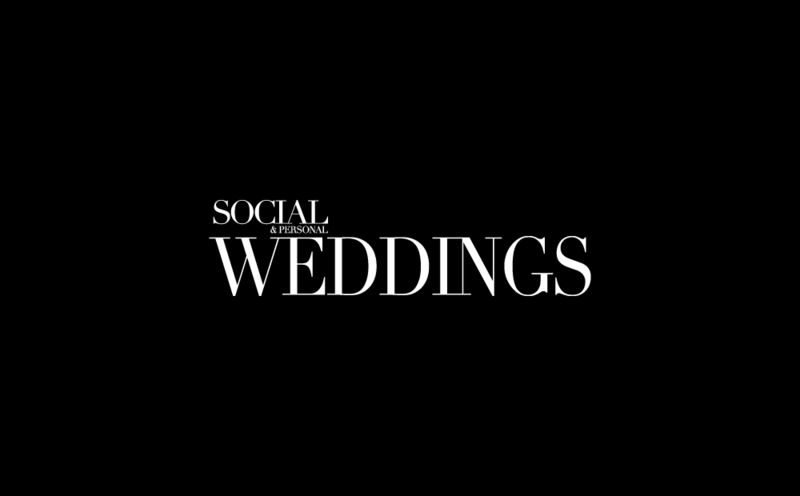 Weddings of all sizes are catered for. 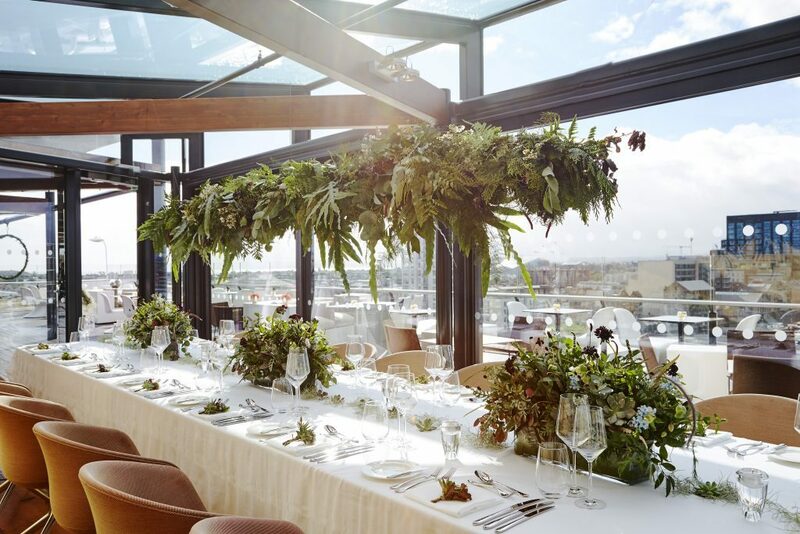 The Marker's standout feature is their incredible Rooftop Bar & Terrace which gives guests breathtaking views of the capital city, from the Dublin Mountains to the Irish Sea. Exchange vows while taking in this unique view and then party the day and night away surrounded by friends and family in this intimate setting.